We had a lot of snow a couple of weeks ago. Like 3 feet overnight! Needless to say we were stuck inside for a couple of days (minus a few fun outings to make snow angels) so I was working on easy ideas to keep my 3 year old twins entertained inside. And I had to use what we had on hand. We came up with a super fun game that they loved. It got them thinking and moving - perfect for when you're stuck inside! 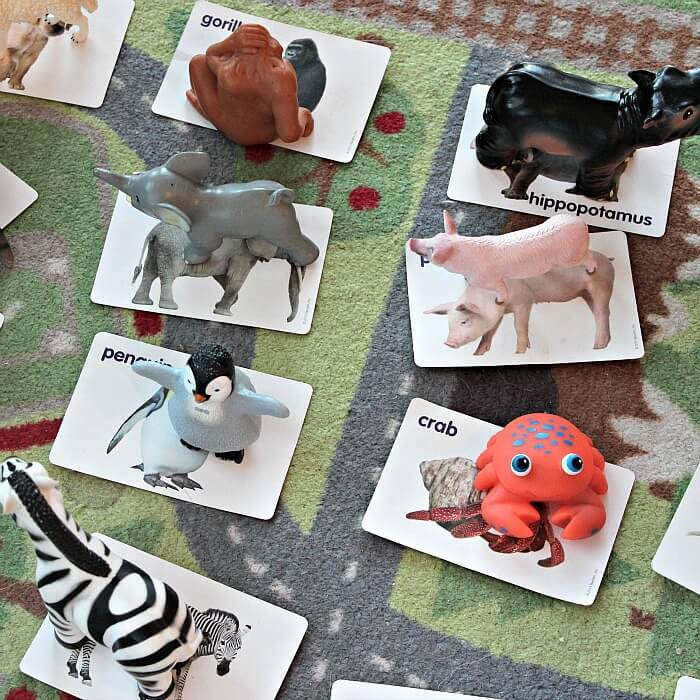 We called our new game Animal Find It and it only takes a couple of things to set up - animal flash cards and small toy animals. We used a mix of animals we had around the house, if you don't have a good variety these TOOB sets are great. 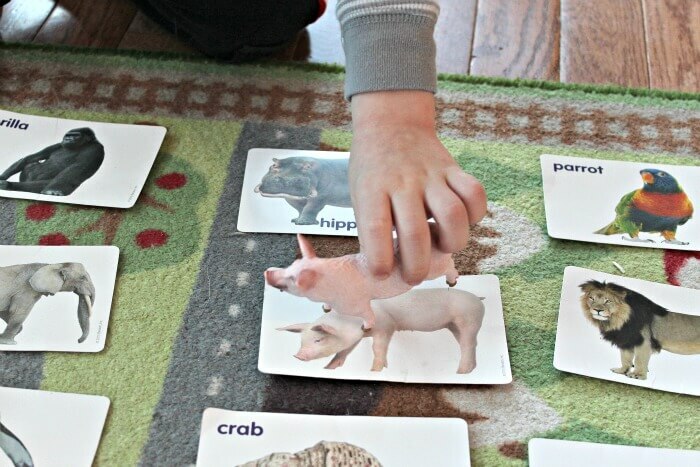 Start by laying out your animal cards on the floor. Then have your kids pick out matching toy animals. Once you have them all matched up, have your kids hide their eyes while you hide the animals around the room! Then let them loose to explore and see if they can find the animals. You can mix it up on dark winter days by letting them use a flashlight to help in their search. A quick side note - these rechargeable flashlights are one of my absolute favorite things to have on hand at all times. They plug into the wall, so you never need to replace batteries, and they're the perfect size for kids. Best of all, you can set them so that when the power goes out, the flashlight comes on immediately. No running around in the dark! Seriously, I have several of them in strategic places around my house. Love them. Now back to the game! 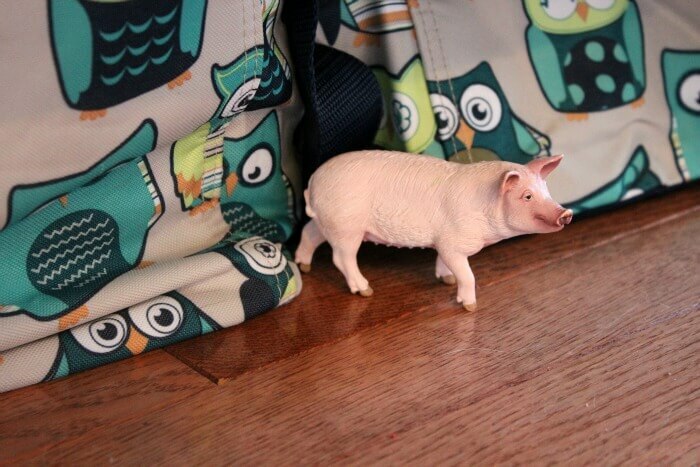 When your kids find an animal, they can then match it back up with the right card on the floor. Super easy and so fun! 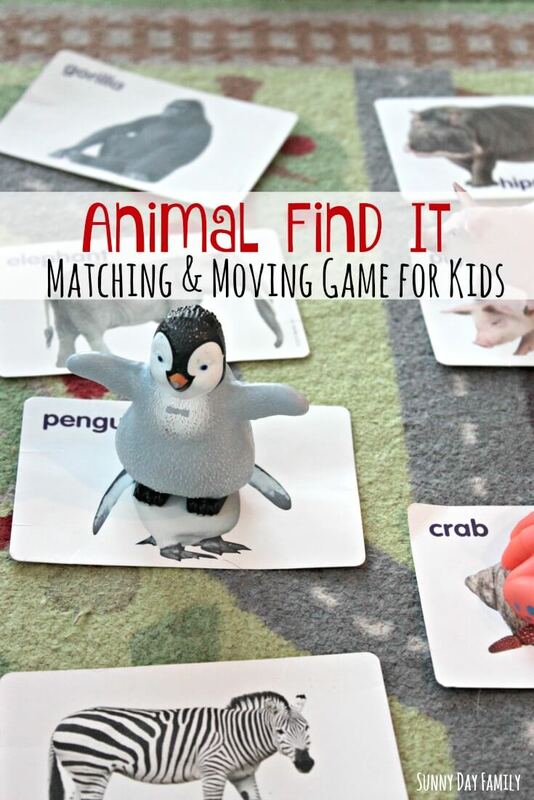 We had a blast playing Animal Find It. It was so easy to set up, got the boys thinking and moving, while they were having tons of fun too. 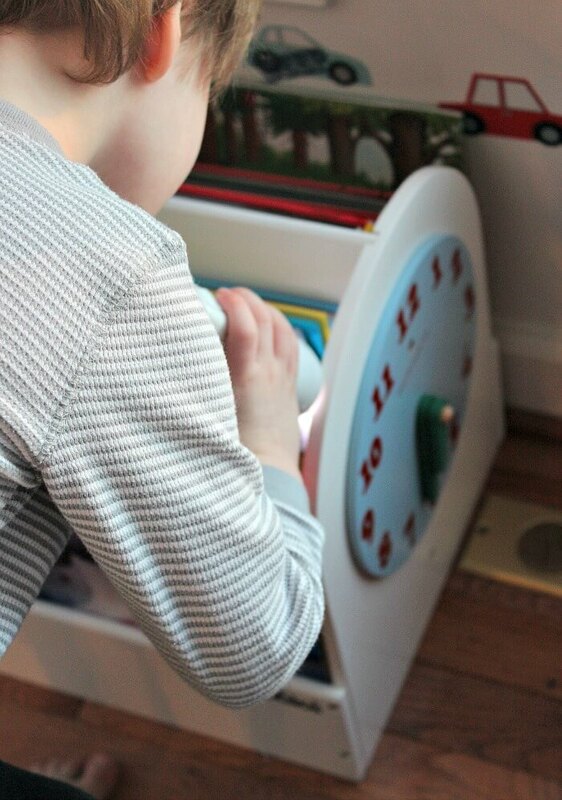 We're definitely putting it on our regular rotation of indoor boredom busters!